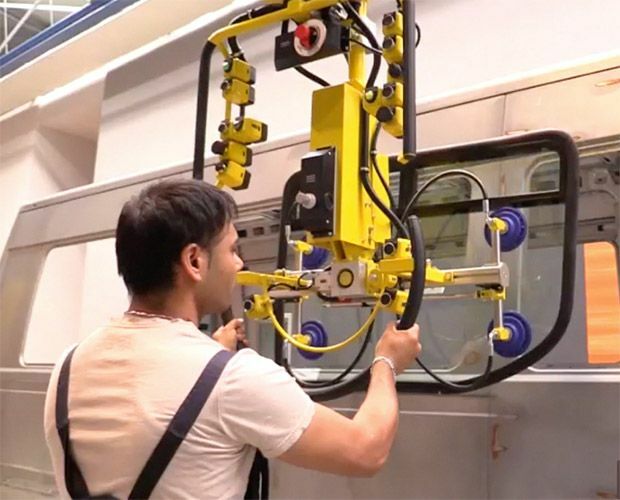 Manipulator, column mounted version, equipped with Dalmec suction cups gripping system for the lifting and handling of plate glasses – vehicles. The gripping device allows the picking of the glass positioned horizontally and after a pneumatic inclination of 90° its positioning in vertical in special containers. The suction cups are adjustable in order to allow the gripping of glasses having variable dimensions. 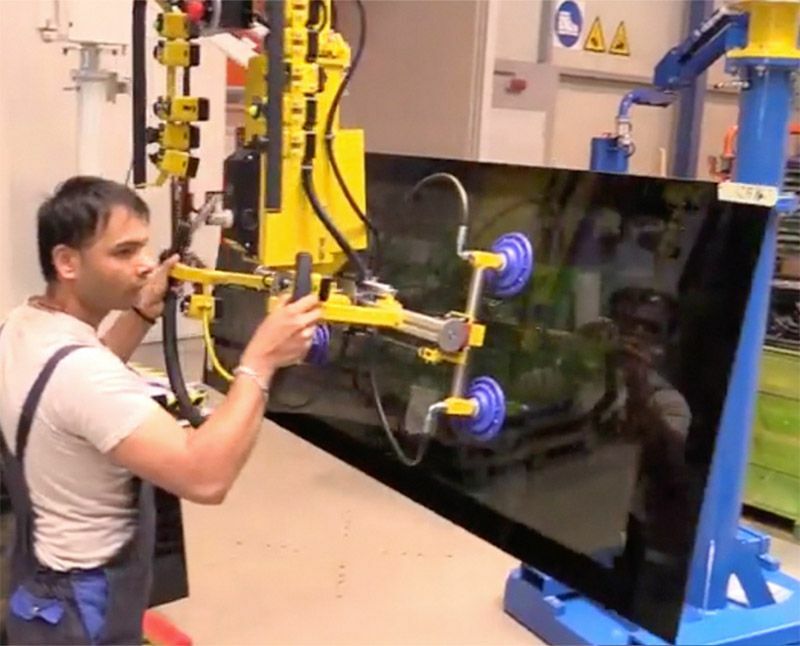 Dalmec gripping system with a suction cups device applied to Partner Equo Manipulator, column mounted version, for the lifting, handling and positioning of windscreens for vehicles. Simple to use, these lifters allow the operator to move loads of all kin ds throughout the working area quickly, accurately and safely. Our Manipulators are custom-built, with specially adapted design, dimensions and picking systems to suit the specific requirements of the users and the various environmental conditions available.